Motorcycle - Coverage you can depend on. 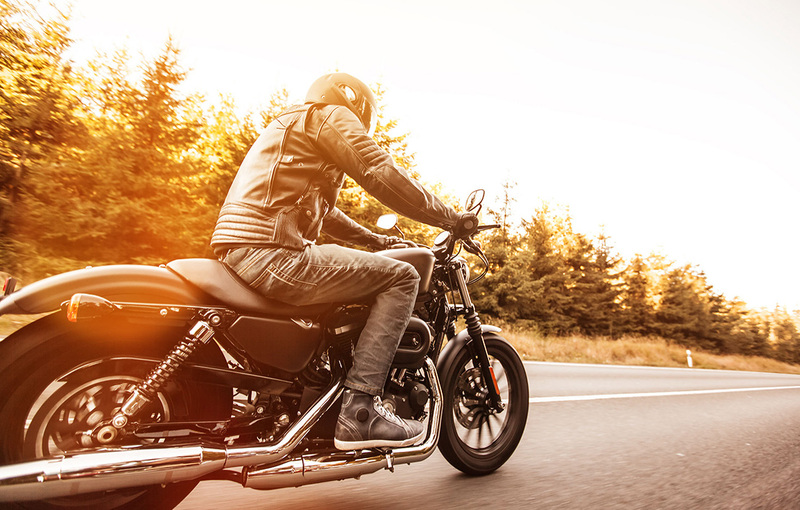 If you ride a motorcycle, you need the protection a motorcycle insurance policy will provide. Not only will it give you (and your loved ones) peace of mind, most states require that a rider has motorcycle insurance. A Colstan & Associates Motorcycle Insurance policy will protect your you, your bike and your passengers as well as your gear and accessories against damages that may occur in the case of an accident. Damages to other vehicles, fences, mailboxes, signs and other property, and injuries sustained by other drivers/motorcyclists and passengers are all covered. In the event that you are sued, this will also pay for your legal expenses. This guarantees coverage of repairs or replacement of your motorcycle in case your bike is stolen or damaged. Of course, you do have your choice of deductible options, which will ultimately determine how much you pay out-of-pocket. If the accident is not your fault, obviously, the other driver is responsible and should pay for damages. But what if they don’t have any or enough insurance? That’s where this coverage comes in. You will be protected because it will pay for damages to your motorcycle, plus cover your medical bills and any loss of wages you experience due to the accident. Whether an accident is your fault or someone else’s, this will pay for the medical bills incurred by you or your passengers. There is a range of coverage limits that you can choose. A good option if your bike is no more than one model year old on a new policy and two model years old during a renewal of a total loss coverage policy. In the event your motorcycle is totaled, you get the full manufacturer’s suggested retail price for a brand new bike, less your deductible. Chances are you carry various personal items with you when you ride, including cell phones, clothing, equipment for camping or hunting, etc. If any of your belongings are damaged, stolen or lost, this will cover those losses. If you breakdown while riding, as long as you are within 100 feet of the road, your bike will be towed to the nearest repair shop at no cost. Once you have Roadside Assistance coverage, you may want to consider adding Trip interruption coverage since it will pay for food and lodging expenses up to $500 (Roadside Assistance must be purchased first). This will pay you up to $250 every week for two years if you are injured and unable to work due to a motorcycle accident. Built-in life insurance will also be added to this so in the case of a fatal accident, your beneficiaries will receive $25,000. Contact a Colstan & Associates agent today to discuss purchasing a Motorcycle Insurance policy.